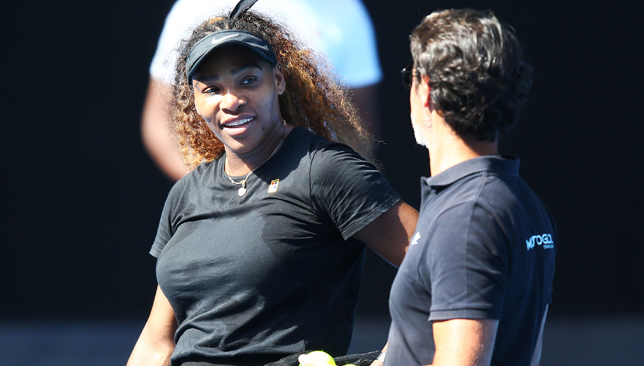 The pressure Serena Williams is facing to equal Margaret Court’s all-time record of Grand Slams won is the greatest she has ever encountered, according to her coach Patrick Mouratoglou. Williams is chasing history this upcoming fortnight at the Australian Open and while she has countless records to her name, Mouratoglou believes Margaret Court’s all-time mark of 24 Grand Slam titles remains the ultimate challenge for the American superstar. She is one major of way from equaling that record, but Williams doesn’t just want to match it, she wants to break it. 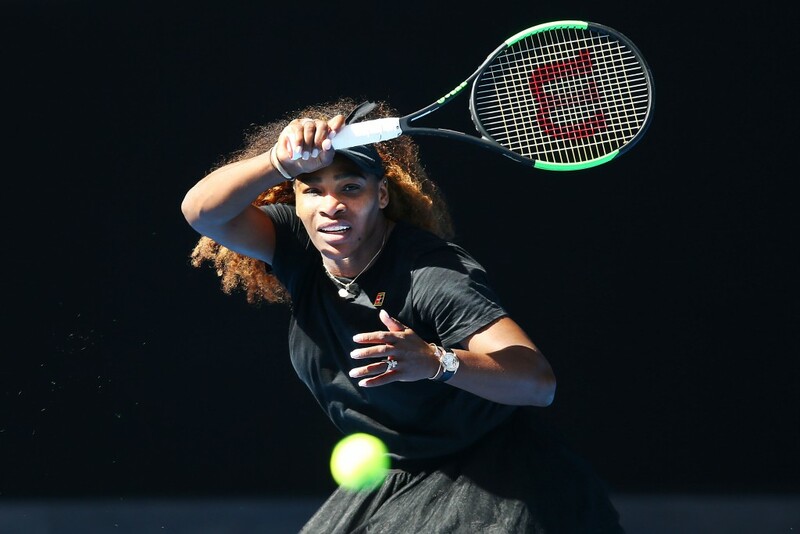 Seeded 16 in Melbourne, Williams has already reached two finals in the three Grand Slams she has contested since returning from maternity leave last year. The 23 majors she has won so far make her the Open Era record holder, but just like breaking Steffi Graf’s tally of 22 was tough to crack, usurping Court will be no mean feat, especially with Williams traveling the tour as a 37-year-old mother, with more than two decades of experience on the professional tour behind her. “My personal challenge is to help her finish her career the way she wants to now, and she wants to break the records, especially the record of Margaret Court. It’s not easy,” Mouratoglou told Sport360 while promoting a new mobile game, Tennis Manager, he unveiled this week. “The pressure is the highest pressure you can experience in sport, because you play for history. It’s a real challenge. The challenge is also to keep improving her game, because if she doesn’t, she will never break that record. Asked if the pressure Williams is facing now is higher than it has ever been, Mouratoglou said: “Yes for sure. Because since 2013 she has come back to No. 1 in the world for three and a half years in a row. And for three and a half years, everybody expected her to win every match, which I thought was the highest pressure possible for a tennis player and if you got other players that have to experience that, not many can handle it. “Only the top, top, top champions can. And she did incredibly well in that. And then she became an icon, so it’s even more pressure. And then she started to beat the biggest records in tennis. And when you are one Grand Slam away from equaling the record of all-time, I don’t think there is more pressure than that, and you’re an icon, everybody expects you to do it, the pressure is incredible. At this point, Williams is an expert in dealing with pressure and she’s dealt with it in different ways over the years. When she was bidding for the ‘Serena Slam’ for a second time in her career in 2015 (winning four majors in a row across two calendar years), she forbid the media from mentioning her pursuit. This time, Williams isn’t shying away from stating her intentions. “[The number 24] has always been significant since I got 22, then 23. It’s something that I clearly want but I have to be able to get there and beat a lot of good players to get it,” she told reporters in Abu Dhabi a couple of weeks ago. Williams landed in the top quarter of the draw and opens her Australian Open campaign against fellow mother, Tatjana Maria of Germany, on Tuesday. She could face Canada’s Eugenie Bouchard in the second round, and could get her sister Venus Williams or world No. 1 Simona Halep in the fourth round. Serena has reached the final on her last three appearances at Melbourne Park, winning the title in 2015 and 2017, and losing to Angelique Kerber in 2016. She missed last year’s edition while on maternity leave. Serena appears in the trailer for the Tennis Manager game launched by her coach Mouratoglou in the build-up to the action in Melbourne. Partnering Augustin Pluchet of RCG, Mouratoglou says that tennis was the only sport out there without a proper management game and they were hoping to fill that void. “I think the tennis fans love to know what’s behind-the-scenes, how champions practice, how do you negotiate the contracts with the brands and this is game not only explains that, you become an actor of that and for tennis fans that’s an incredible experience,” he explained. The game (iOS/Android) is available for free download here. 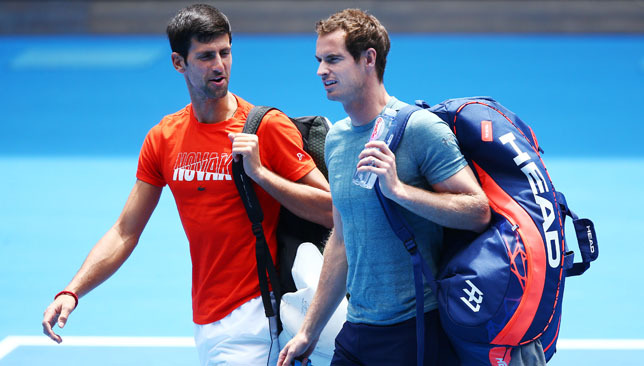 Novak Djokovic has paid tribute to his long-time rival Andy Murray, saying he will “always cherish our amazing matches”. The pair, who were born just a week apart and have seen their careers mirror each other in several ways, first competed against each other as juniors 18 years ago. Djokovic wrote on Instagram: “Tarbes, France 2001, “Les Petite As”. First time we met and played. Something was telling me back then that we’d have an amazing rivalry and experience of playing each other on the biggest stage for many years to come. “What you are trying to do is nothing short of brave and inspiring. I met with you the other day and couldn’t really verbalise my compassion for what you’re going through. Nick Kyrgios posted an emotional message to his “old friend” Andy Murray as tributes poured in following the Scot’s retirement announcement on Friday at Melbourne Park. Murray told reporters that the Australian Open could be his very last tournament, as he continues to suffer from pain in his “severely damaged hip”, although he hopes to be able to bid farewell to the sport at Wimbledon, where he made history for Great Britain by lifting the trophy there in 2013. Kyrgios, who has always had a close relationship with Murray, took to Instagram to pay tribute to his friend. “Andy, I know you take me for a joker most of the time, but at least hear me out on this one old friend,” read the message from the Aussie. “You will always be someone that impacted the sport in so many different ways, I know this was never the way you wanted to go out, but hey it was a heck of a ride. You took me under your wing as soon as I got on tour, and to this day you have been someone I literally just look forward to seeing. You are one crazy tennis player, miles better than me, but I just want you to know that today isn’t only a sad day for you and your team, it’s a sad day for the sport and for everyone you’ve had an impact on. All the way from Argentina, Juan Martin del Potro, a player who is no stranger to the agony of injury, urged Murray to “keep fighting”. “Andy, just watched your conference. Please don’t stop trying. Keep fighting. I can imagine your pain and sadness. I hope you can overcome this. You deserve to retire on your own terms, whenever that happens. We love you @andy_murray and we want to see you happy and doing well,” tweeted Del Potro. A former world No. 1, three-time Grand Slam champion, Davis Cup winner and Olympic gold medallist, Murray has ticked every box when it comes to accomplishments on the court. But to many, he is most appreciated for the character he was among the tennis community, and his support for the women’s tour and matters like equal pay in sport. He was a pioneer in many ways, especially when he hired Amelie Mauresmo as his coach – a decision that was met with mixed reaction from his home media. But Murray spoke out when people douted his choice of coach and made sure he called them out on their sexist views. “@andy_murray You are a champion on and off the court. So sorry you cannot retire on your own terms, but remember to look to the future. Your greatest impact on the world may be yet to come. Your voice for equality will inspire future generations. Much love to you & your family,” tweeted Billie Jean King. Keep fighting Andy, you’re got a heart of pure gold! You’re most definitely one of the most liked and respected players on the tour. I know all of us girls in the locker room are in awe & so grateful for how you always fight in our corner! Thank you so much for that. You inspire me in so many ways and I don’t want you to go!! Stay strong and keep fighting 💛 it’s pretty nerve racking playing with you because you’re pretty gosh darn Awesome (with a capital A)😅 but jheez am I so grateful I have! Serena Williams’ coach, Patrick Mouratoglou, who hosted Murray multiple times at his academy in France, described the Brit as “courageous”. “Of course everyone wants him to keep on playing because of who he is, his personality. He’s one of the only guys that stood up for things that he believed in, most of the time against most of the people, and he had the courage to do that. I think that sticks to his personality, and when we mention Andy Murray, when we look at Andy Murray, that’s what I think when I see him, someone very courageous, someone who had the courage to stand for what he believes in even though most of the people don’t,” Mouratoglou told Sport360. This short exchange last year on the most mainstream show there is really stuck with me.